After an adventurous 91 days in Sri Lanka, we arrived in South Korea’s Incheon airport. Our connecting flight to Busan was leaving from the nearby Gimpo airport, requiring a 40-minute transit bus ride. Accustomed to our cramped and dangerous bus experiences in Sri Lanka, we boarded with weary dread. But what’s this?! Comfortable, individual seats? Seat belts? Air conditioning? Where was the Sinhalese pop blared at ear-splitting decimals? Why weren’t we careening recklessly down gravel roads? As we coasted down the smooth (paved!) highway, I closed my eyes and took a long, cleansing breath. 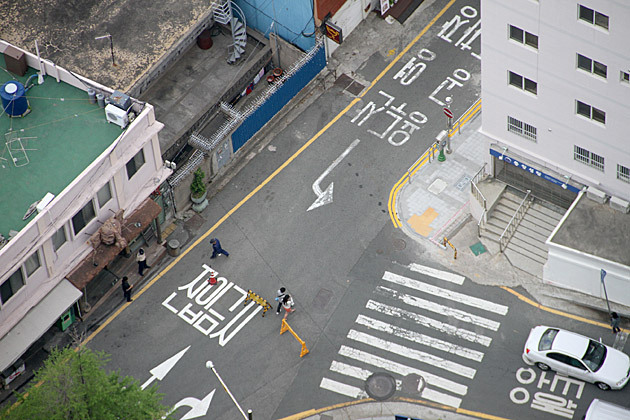 South Korea! 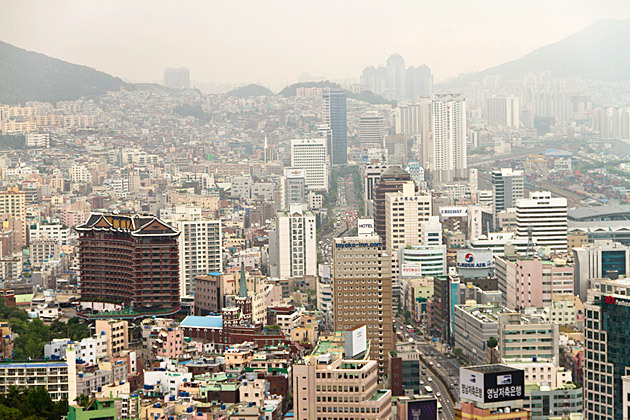 Busan, South Korea’s second city, doesn’t approach Seoul in terms of size or global influence, but is home to a metropolitan population of 3.6 million, and one of the busiest ports in the world. 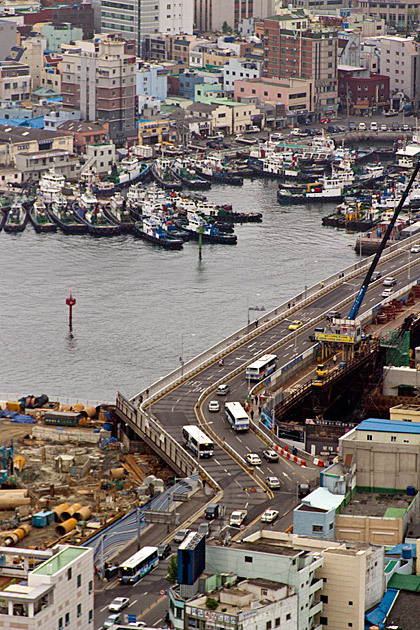 Busan is found on the south-eastern end of the peninsula, closer to Japan than the capital. 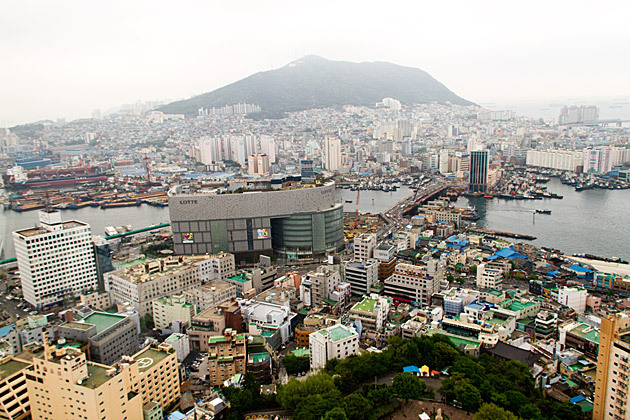 An important business center full of suits, concrete and convention halls, Busan also boasts popular beaches, nature reserves and an urban landscape shaped by green mountains that pop up almost randomly amid the skyscrapers. Our flight from Seoul was with Korean Air, whose wonderful agents managed to squeeze us onto a connection two hours earlier than the one we’d booked. And so, we landed in Busan much earlier than expected. 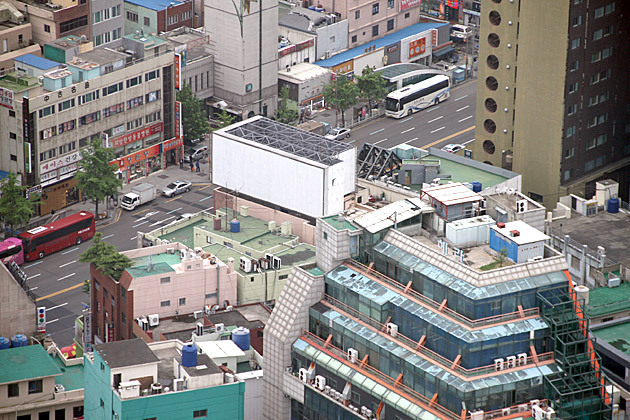 South Korea’s second city doesn’t approach Seoul in terms of size or global influence, but is home to a metropolitan population of 3.6 million, and one of the busiest ports in the world. The city is found on the south-eastern end of the peninsula, closer to Japan than the capital. 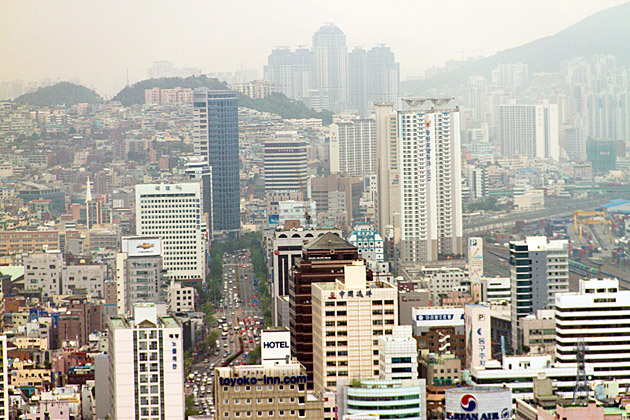 An important business hub full of suits, concrete and convention halls, Busan also boasts popular beaches, nature reserves and an urban landscape shaped by green mountains that rise up between the skyscrapers. Usually, we do a lot of prep work before moving to a new city. Reading up on the language and culture, absorbing movies and novels set there, practicing the language. Things like that. 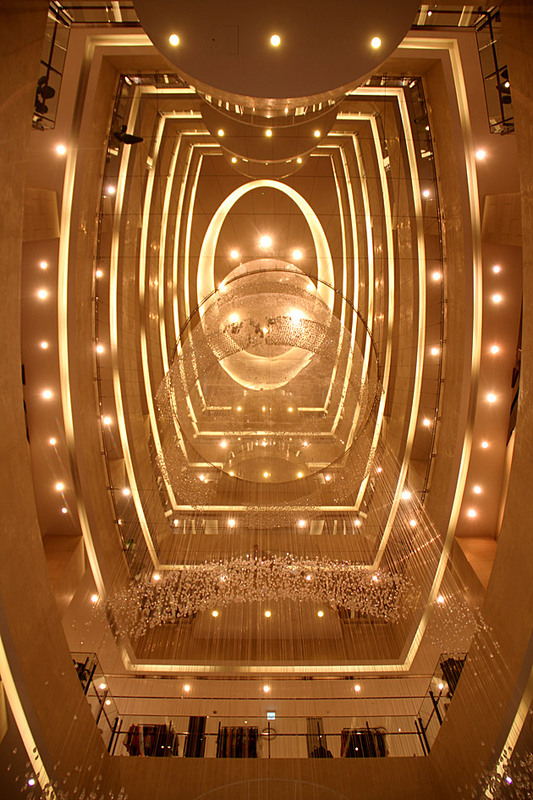 But because we were so busy in Sri Lanka, we had been negligent in preparing for Busan. We knew next to nothing about the city, and just the basics about Koreans: that they have great cuisine, and that they’re are big on drinking, baseball and pop music. 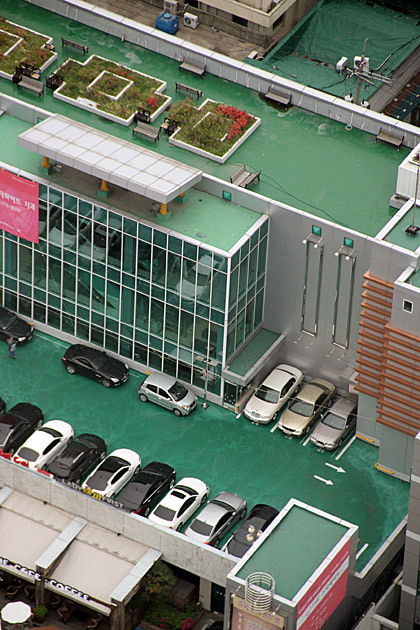 We recognized Samsung, Hyundai, LG, and exactly one Korean word (“hello”). And that was it! We were beginners, extremely eager to get started on our 91-day crash course in the country and its culture. It would prove to be an incredible three months. 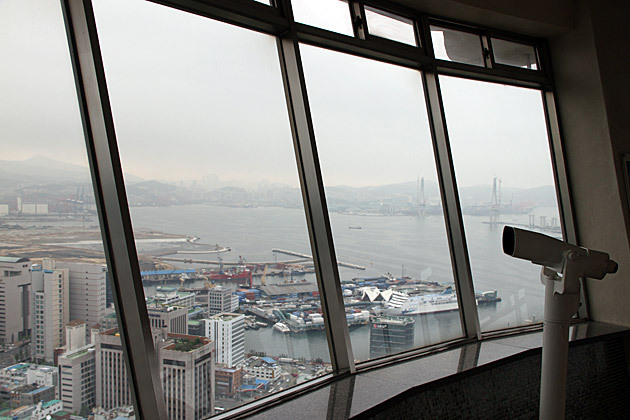 On our first full day in the city, we went to the top of the Busan Tower, where we got a feel for the city’s staggering size. 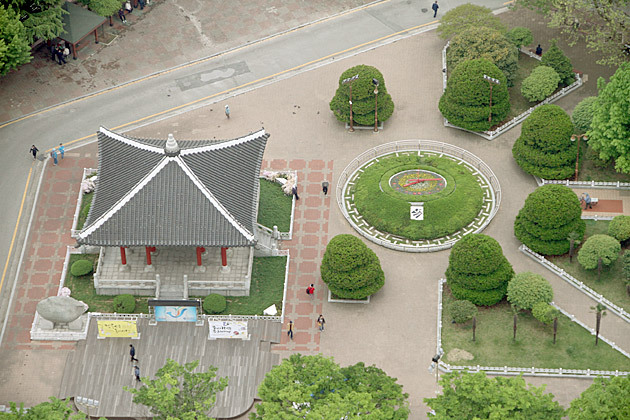 Busan is way too big, with way too many things to do and see in just 91 days, and that’s before considering the surrounding countryside and possible day-trips. We felt overwhelmed before we even began, but by the end of our three month stay, had earned a pretty solid feel for Busan. An incredible and completely overlooked city. To keep up with what we’re doing, you can bookmark this site, follow us on Facebook or Twitter, or subscribe to our RSS feed or email newsletter. Thanks for reading! 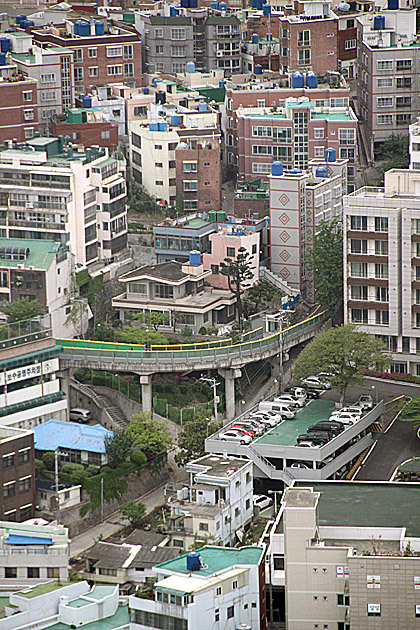 An-Nyeong Ha-Se-Yo, Busan! 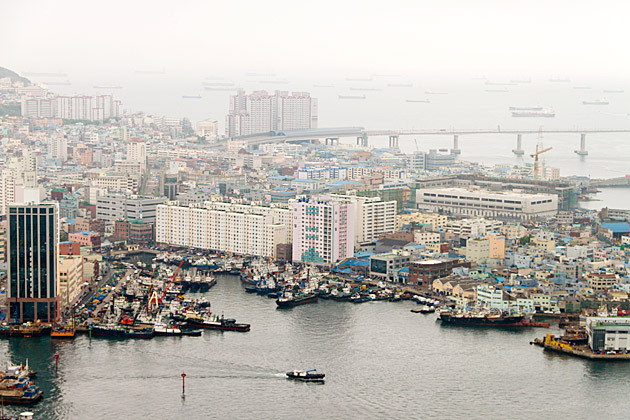 Busan, South Korea's second city, doesn't approach Seoul in terms of size or global influence, but is home to a metropolitan population of 3.6 million, and one of the busiest ports in the world. 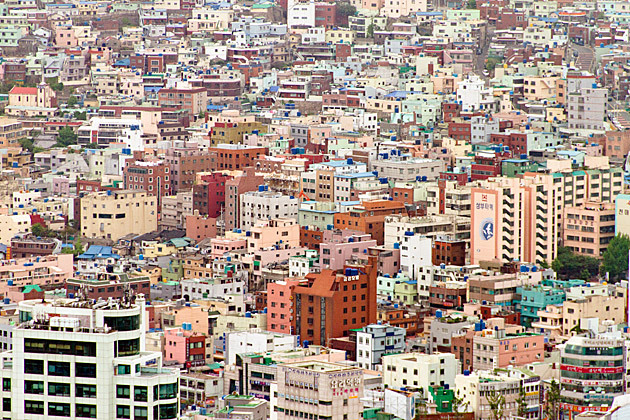 Busan is found on the south-eastern end of the peninsula, closer to Japan than the capital. 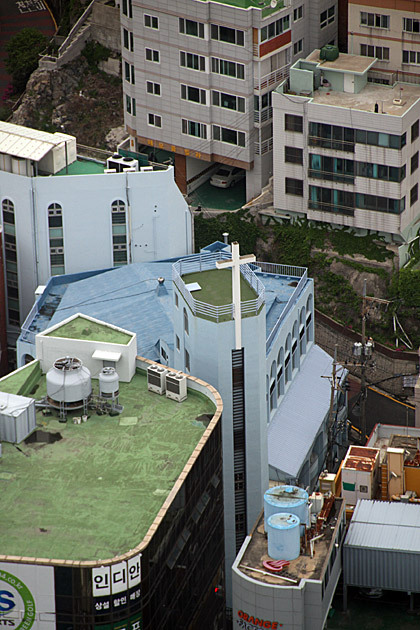 An important business center full of suits, concrete and convention halls, Busan also boasts popular beaches, nature reserves and an urban landscape shaped by green mountains that pop up almost randomly amid the skyscrapers. 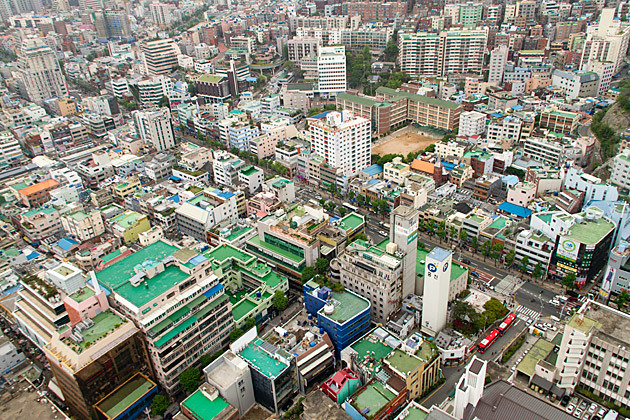 Busan looks crazy big! What made you want to go to Korea?In fact, how do you guys decide where you’ll spend your next 91 days in advance? 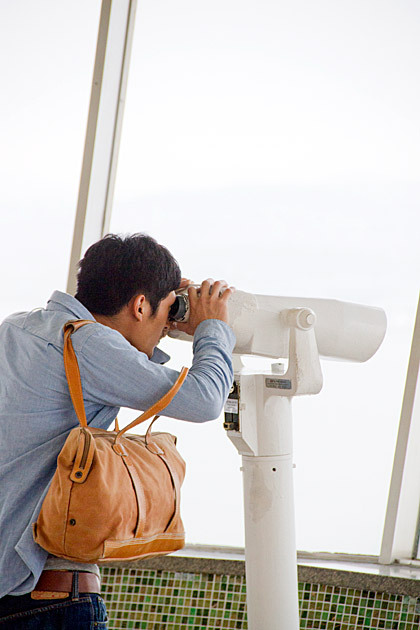 How far do you plan ahead – one or two countries? “Well arrived” to Korea !!!! Right away, it is apparent from the photographs that “order” reigns! Such a contrast to Sri Lanka! I was hoping to move to Busan in order to teach English, but it looks SO Different to how I imagined… The pictures are really great. I love your blog and will keep following it.